Two bodies of water, two different temperatures Set the pace of your workout with the programmable variable speed system. Swim, jog, walk or exercise in the uninhibited swim area, with the water set to a personal comfort zone in the 80s. On the other side, settle into the hot tub with the temperature set up to 104°. 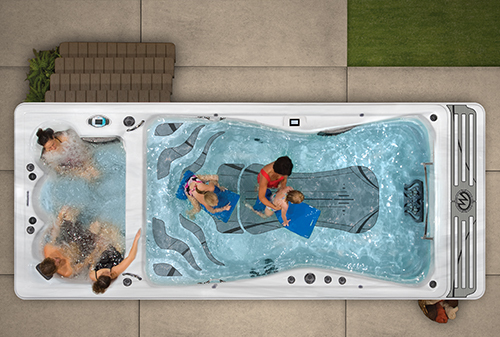 This full-size hydrotherapy hot tub has 31 jets, ergonomic seating, and was designed to give your mind, body and spirit a thorough rejuvenation. Say good-bye to the tensions, aches, and stresses of the day. 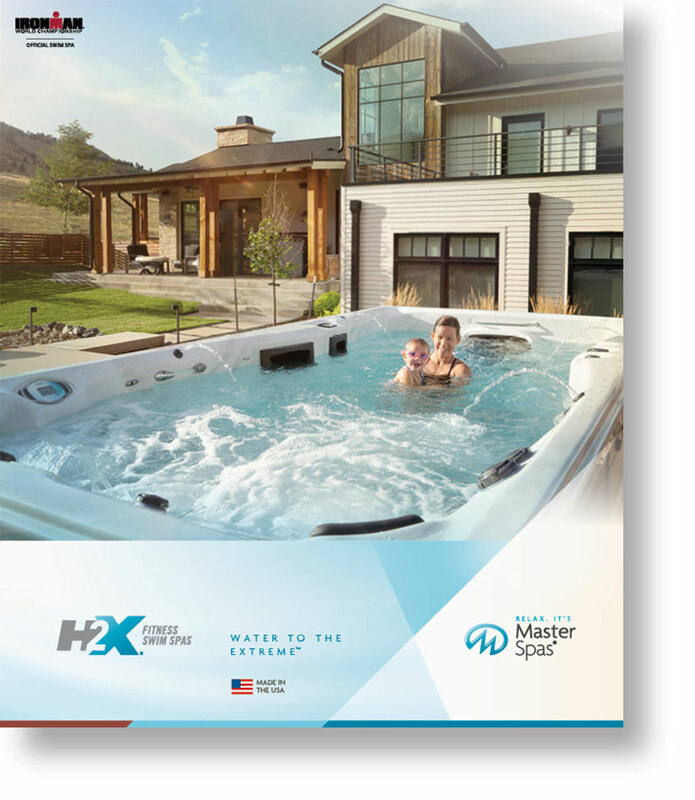 "The H2X Challenger is a great way to maintain and improve upon the work I have already done in the pool, and it keeps this aspect of my training fun! For any athlete, whether beginner or expert, it is a comfortable and convenient way to add strength, proper technique, and confidence to your swim. 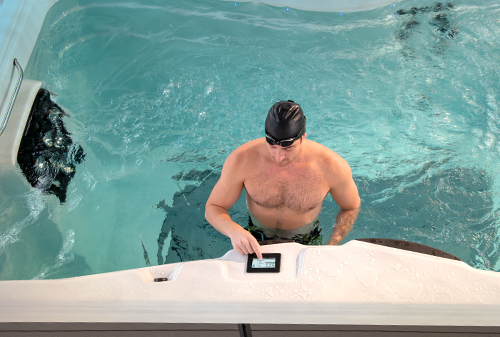 Hydrotherapy and the numerous non-swimming exercises that you can do in the swim spa are also great from preventing or recovering from injury."